When the A-share market was still chewing on the scallops and the pigs were starved to death, the former protagonist of Lantian shares, Zhao Zhaoyu, was preparing to return to A-share with China Lantian Corporation. On the last announcement day before the Spring Festival, there was the name of "The First Emerald"Oriental Golden DragonflyThe news was quietly released. The company's actual controllers, Zhao Ning and Wang Wei, intend to transfer 100% of the shares of Xinglong Industrial, the controlling shareholder of the listed company, to the China Lantian Corporation. Upon completion of the transfer, China Lantian will indirectly hold a 31.42% stake in Dongfang Jinlu, and the actual controller of the company will be changed from Zhaoning to China Lantian Corporation. The legal representative of China Lantian Corporation, Qi Zhaoyu, is the original legal representative of Lantian, the “agricultural first share” that was delisted from the past. This information disclosure time was taken with extra care – the next day, the Oriental Jinyu announcement, the stock market did not open, most of the media were on holiday. Even so, the company has not escaped the regulatory vision. The Shanghai Stock Exchange issued a letter of inquiry on the proposed change of the control of Dongfang Jinyu on February 10, pointing directly to the decision-making process of Lantian’s acquisition, its funding sources and its ability to perform. Wait for the question and ask the company to reply before February 12. 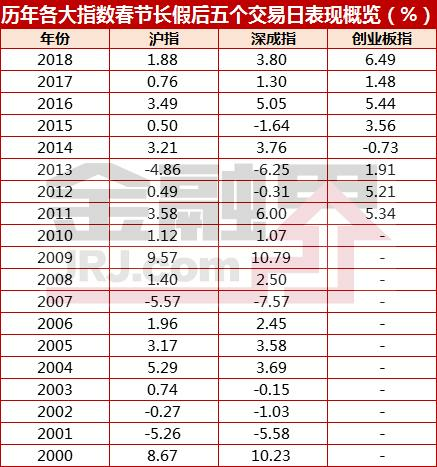 This is also the first inquiry letter issued by the Shanghai and Shenzhen stock markets in the Lunar Year of the Pig. It can be seen that the regulatory layer is highly sensitive to the combination of Oriental Golden Dragon and Lantian. The “China Lantian Head Office” (referred to as “China Lantian”), which wants to buy shells, is not the Lantian stock that was delisted from the market in the past, but the two are related parties and have the same legal representative. The relationship is inextricably linked. 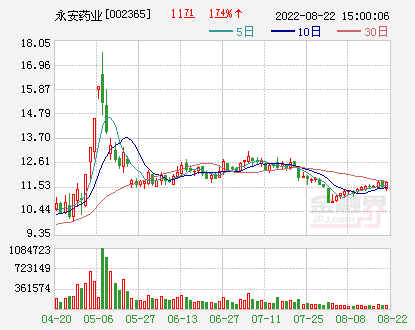 In 2001, Lantian was opened by the Central University of Finance and Economics Professor Liu Weiwei, a 600-word report on "Should immediately stop lending money to Lantian shares", which opened a hole in financial fraud. Subsequently, Lantian shares delisted into the third board and became "ecological". 5", and the Ministry of Agriculture, which is listed on the Lantian market, has also been implicated. Is China’s Lantian, which wants to return to A shares, still belong to the Ministry of Agriculture? Oriental Jinyu announced on the evening of February 1 that China Lantian was incorporated on the Beijing Municipal Administration for Industry and Commerce on March 6, 1989. It was formerly known as “China Agricultural Materials Supply and Marketing Corporation” and was changed to its current name in January 1998. At present, the registered capital is 400 million yuan, and the nature is owned by the whole people. The investor is the Ministry of Agriculture. The registered address of the company is located at No. 11 Nanli, Agricultural Exhibition Hall, Chaoyang District, Beijing. The legal representative is Zhao Zhaoyu. “Where is the No. 11 Nanli, Agricultural Exhibition Hall, Chaoyang District, Beijing?” Under the search, we know that this is the "Agricultural and Rural Ministry" building. The Shanghai Stock Exchange's enquiry letter is very concerned about this. It requires Dongfang Jinluo, the actual controller Zhao Ning and China Lantian to clearly state: the actual controller and shareholder composition of China Lantian; China Lantian is the specific of the “owner-owned enterprise under the leadership of the Ministry of Agriculture” The meaning, the current relationship between China's Lantian and the Ministry of Agriculture and Rural Affairs; and whether China Lantian's equity acquisition needs to obtain the relevant state assets and the approval of the competent authorities, if yes, please explain the specific progress, if not, please explain the reasons and basis. In view of the “former record” of Lantian, the Shanghai Stock Exchange required the parties to explain the decision-making process of China Lantian in this acquisition; whether the relationship between Qi Zhaoyu and China Lantian Headquarters and the delisted company Lantian was listed as untrustworthy The situation in which a person or other company may not acquire a listed company; whether there is a situation in China Lantian that does not allow the acquisition of a listed company. The reporter noted that Dong Hongjun, who claimed to have led China’s Lantian to regroup, said in an open letter: “For historical reasons, Hong Yan strictly prohibited the team from doing any propaganda and social business activities in the name of the Ministry of Agriculture, facing history, low-key development, and shame. Be brave and pragmatic." China Lantian also said on its official website that starting from 2016, China Lantian Headquarters will launch a new round of asset restructuring and business reshaping, and actively explore the innovation and development of modern new-type agriculture. China Lantian Corporation is gradually developing into a large state-owned enterprise with modern new agricultural service industry as its main business. The industry covers traditional agriculture, industrial investment, financial services, cutting-edge technology, eco-environment, medical health, bio-pharmaceuticals, agricultural big data. , Internet + agriculture and many other industries and fields. A "Resignation Letter from Dong Hongjun, China Lantian Corporation" was circulated on the Internet, and the payment was on November 1, 2018. If this open letter is true, at least two pieces of information will be transmitted: First, the management rights of China Lantian from June 2017 to April 2018 belong to Zhongheng Hengtong; Second, Dong Hongjun led China Lantian to a difficult year. And the results are remarkable. Since April 2018, Yan Zhaoyu has returned to power, and the company's management personnel have subsequently changed. Dong Hongyu said in the article: "In June 2017, China Lantian Corporation signed a five-year operation right to China Nuclear Hengtong (Beijing) Materials Co., Ltd. (referred to as 'China Nuclear Hengtong'), and then CNNC Hengtong entrusted me to manage China Lantian Corporation. For more than ten years, except for the business license and official seal, there is nothing (even the basic households do not have), Dong Hongjun led the team to raise funds, fight day and night, starting from 3 people to the parent company development subsidiary on April 23, 2018. There are more than 70 holding companies, total assets of more than 15 billion yuan, AA+ of the joint credit enterprise, 10 billion yuan of bank project pre-grant, and 300 million yuan of comprehensive credit. Interestingly, who is China Nuclear Hengtong? This is the "fake central enterprise" that was rumored by the real name of the central enterprise Chengtong Group in 2018. China Chengtong Holding Group (referred to as “Shengtong Group”) issued the “Announcement on the Registration of Industrial and Commercial Enterprises of China Nuclear Hengtong (Beijing) Materials Co., Ltd.” on July 20, 2018, stating that China Nuclear Hengtong has provided false materials and other means. Deceiving the industrial and commercial registration authority, changing the “China Material Storage and Transportation Shenyang Company” under the Chengtong Group to its shareholders and using this identity for commercial activities seriously violated the legitimate rights and interests of Chengtong Group and caused negative impact on Chengtong Group. The Shanghai Securities Journal reporter noted that many of the senior executives, including the party secretary, have served as executives in the company of China Lantian. For example, Tianyuechao showed that Zhongjing Hengtong Party Secretary and Director Zhao Jingjing served as the executive (manager) of Lantian Investment Co., Ltd., a wholly-owned subsidiary of China Lantian Corporation. Lantian Investment was established in November 2014 with a registered capital of 100 million. yuan. Sun Fenggang, another former director of China Nuclear Hengtong, is the legal representative and general manager of “Horgos Lantian Technology Development Co., Ltd.”. The company was established on August 6, 2015 with a registered capital of 200 million yuan. Lantian Head Office is 100% owned. The connection between China Lantian and China Nuclear Hengtong is evidenced by legal instruments. According to a referee document issued by the China Judgment Document Network on November 12, 2018, Nanjing Ziyu Machinery Co., Ltd. (the plaintiff) sued Zhongheng Hengtong (the defendant 1) and the China Lantian Corporation (the defendant 2) The request for return to restore the loan principal of 48 million yuan, and interest of 6.7 million yuan. What is even more interesting is that Ziyu Group and China Nuclear Hengtong are also "close comrades." Jiangsu Ziyu Group official website disclosed that China Nuclear Hengtong and Jiangsu Ziyu Group are strategic partners. On November 3, 2016, Zhao Jingjing, Party Secretary of China Nuclear Hengtong Group, delivered a speech at the ceremony of the party branch of Ziyu Group. The P2P platform operated by Jiangsu Ziyu Group is also the largest shareholder of China Nuclear Hengtong. What is the economic strength of China Lantian? 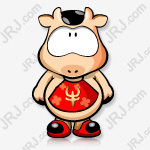 In view of the above situation, how much capacity has it been able to promote the debt restructuring of the Oriental Jinluo just for the 5 million yuan "brothers" loan disputes in China's Lantian? It is worth mentioning that the application for the judicial reorganization of debts submitted by Xinglong Industrial, the shareholder of Dongfang Jinlu Holdings, to the Shenzhen Intermediate People's Court of Guangdong Province has been filed, and there is still significant uncertainty in whether the company enters the reorganization process. If it is not implemented smoothly, the company will be in danger of being declared bankrupt. At the same time, on January 16, 2019, due to the company's alleged information disclosure violations, Oriental Jinyu received the "Notice of Investigation" from the CSRC. Many risk factors are superimposed. It is difficult for Dongfang Jinluo and China Lantian to “join hand in hand”. Lantian has been delisting for 16 years. It has left scars and warnings to the A-share market. 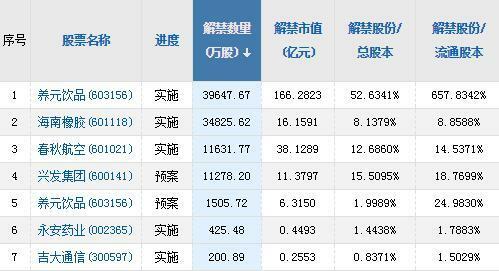 If China Lantian wants to land in A-shares, the market needs to see Lantian’s greater sincerity. Li Wenjie: The downside of the A-share market is limited. It may rise slowly. Wang Wei: I am still cautious about the A-share market in the first half of the year. Zhou Ping: A lot of evidence shows that the A-share market is already in the bottom area.